The importance of indoor air quality (IAQ) is of a growing concern for all individuals spending any amount of time in buildings or structures. Whether you are at home, at work or shopping, all indoor areas must have top quality air within the facility to provide good health to all. Air pollution exists in all homes and buildings to an extent, and the sources of pollution vary from mold to microwaved food. Fortunately, it does not have to be difficult to provide superior IAQ to improve the quality of life for all parties involved. Indoor air has the ability to become polluted just like outdoor air. In fact, it can be even more dangerous as the air is often recycled within confined spaces. The quality of the air inside structures can directly affect the health of all individuals who spend any time inside the home or facility. Air pollution indoors develops from a number of sources. The same pollutants can exist in any type of building whether it be a home, office, store or other types of structures. If you allow smoking inside the structure, it can pollute the rest of the air throughout the home or building. The same is true of mold residue, particles from cleaning supplies, toxic insulation, poorly operating air conditioners and heaters, radon, rodent droppings, carbon monoxide, lead, asbestos, formaldehyde and pesticides. Do not forget about allergens from pet dander, cockroaches, dust mites and pollen. And food and body odors can linger leading to distractions at home and in the office. 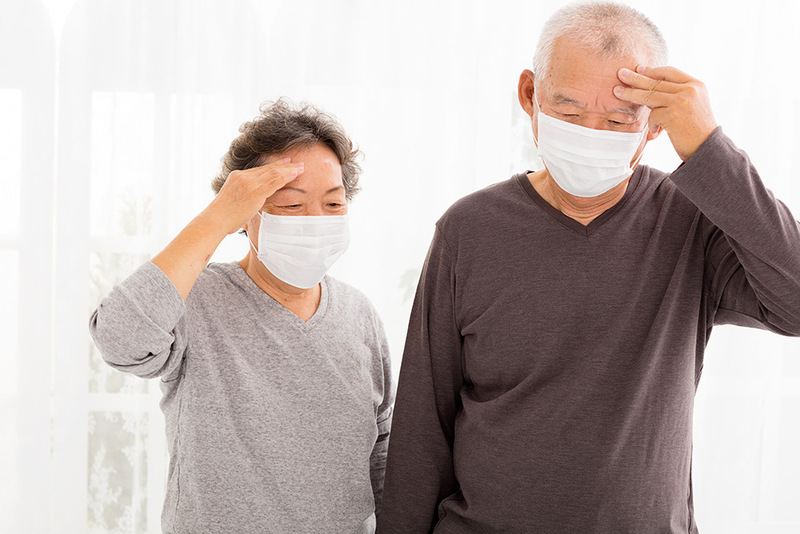 Poor air quality can lead to serious health concerns. Some issues will appear relatively quickly; whereas, other health concerns will take longer to surface. You might experience certain irritations nearly straight away, such as fatigue, headaches, dizziness, runny nose, red eyes, asthma and itchy throat. Repeated and long-term exposure to air pollution indoors can result in more serious health issues. Some of such health concerns that could develop over time include cancer, heart disease and respiratory disease. These problems can occur more quickly if pollutants and toxins exist in higher concentrations in small spaces. You can take some measures yourself to greatly reduce the chances that people within your home or building will develop minor or serious health problems. Avoid carpeting if at all possible as it can easily host triggers for extended periods of time, and they are highly likely to become released into the air. If you do have carpet, vacuum with great frequency. Clean drapes and curtains. Reduce humidity to prevent the growth of mold. Wash linens in hot water regularly, and use mite-proof pillowcases and mattresses. 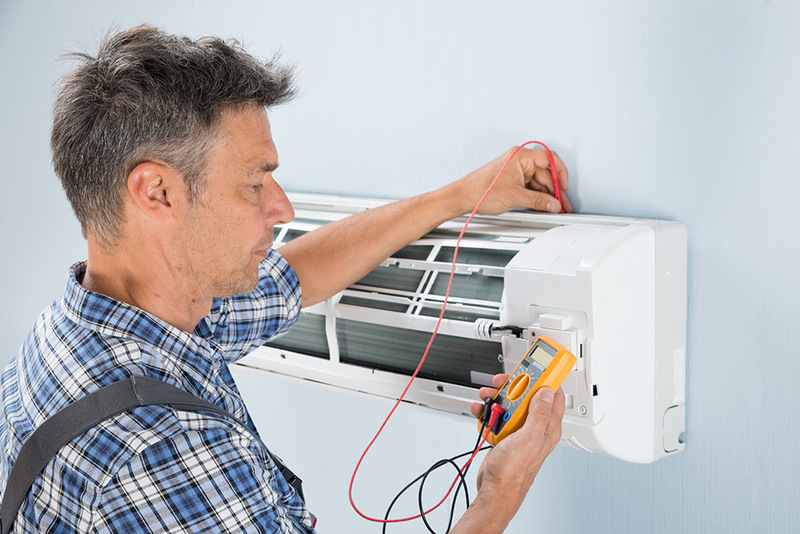 Replace HVAC filters regularly. And use chemical-free cleaning supplies. While you can take preventative measures to improve your IAQ yourself, there are times when only a professional service will remove most harmful pollutants. Cleaning equipment can be expensive and hard-to-reach places can not only be difficult, but dangerous; therefore, some tasks are best left to the professionals. When you are ready to find the right professional air pollution removal team, be sure to look for specific qualities. The best companies will offer a wide array of services that will meet all of your air quality needs. Such services might include air conditioning and heating repair, HVAC repair and replacement, insulation installation, air duct cleaning and preventative maintenance. You should search for ‘air quality near me,’ and read online reviews to determine the top companies in your area. You should test the quality of your indoor air on a regular basis for the health and safety of all persons in your structures. It is also important to note that there is a significant difference between testing on your own and professional testing. In some instances, air testing should only be conducted by a professional. You can purchase a number of detectors to place around your home to be able to regularly monitor the levels of air pollution in your home, office or other structure. This action can save lives. Some of such detectors and tests include checking for radon, carbon monoxide and mold and mildew. You can purchase these tests at local DIY stores. These tests and monitors can help to notify you when there is an issue. Once an issue arises, be sure to contact a professional to clean the air and to remove the sources of air pollution. Clean indoor air can provide you with a number of benefits. The greatest advantages and benefits are those of better health and an improved quality of life, particularly for those who suffer from allergies. If you operate a business, your employees will likely improve their productivity and alertness by eliminating odors and fatigue-related pollutants. And you will have fewer health issues that can also reduce your overall health insurance costs. While it is possible to test for air pollutants on your own, professionals have better equipment and tools to be able to more accurately test and monitor the quality of your air. DIY testing might provide you with less accurate results that may lead you to believe your air is healthier than it truly is. Professionals should be the only ones who test for certain toxins, such as formaldehyde. The same is true for lead and asbestos. While these are less common, they do still exist in older homes and buildings, and they may be hiding behind remodeling. It is important to provide quality indoor air for the health and safety of all people who spend any amount of time in your home or business. Once you have tested your air and addressed all areas of concern, it is essential to initiate preventative air care practices so that you never have dangerous air pollution levels. If you are looking for a quality, professional solution for indoor air quality testing and indoor air pollution removal, contact us at Kleen Air Services right away.